Waves started to surge over this seaside footpath in Brisbane as Tropical Cyclone Oma approached the Queensland coast on Thursday, February 21. This video shows high tides lapping a walkway along Sandgate Beach, just north of Brisbane. 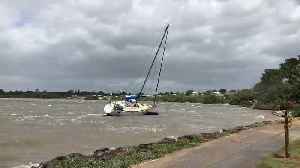 Oma was expected to bring heavy rain, gale force winds, dangerous surf and abnormally high tides across a stretch of coast from Bundaberg in Queensland to Ballina in New South Wales, ABC reported. On Thursday afternoon, Surf Life Saving QLD announced the closure of many beaches on the Sunshine Coast and all beaches on the Gold Coast due to dangerous conditions. 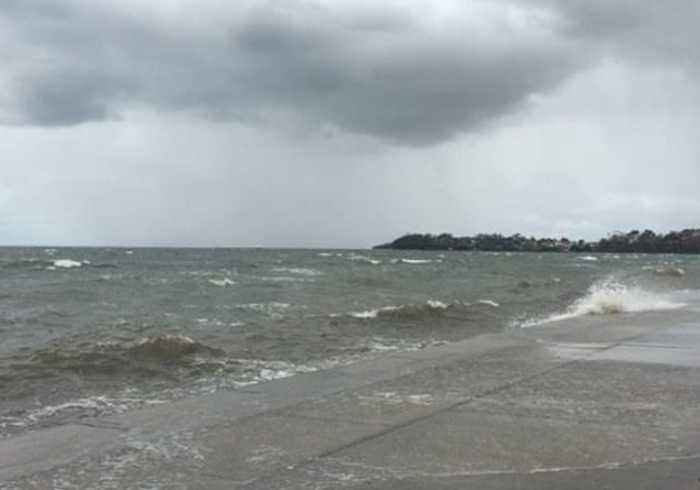 Cyclone Oma brought choppy conditions at sea on the Queensland coast on February 22, setting boats adrift at Victoria Point, according to a local volunteer rescue service. The Volunteer Marine Rescue..